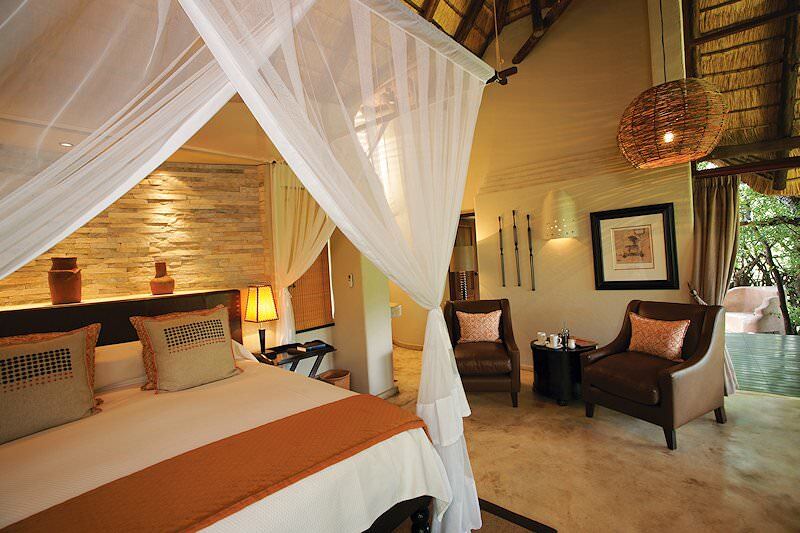 Impodimo is a five star lodge in South Africa's malaria-free Madikwe Game Reserve. 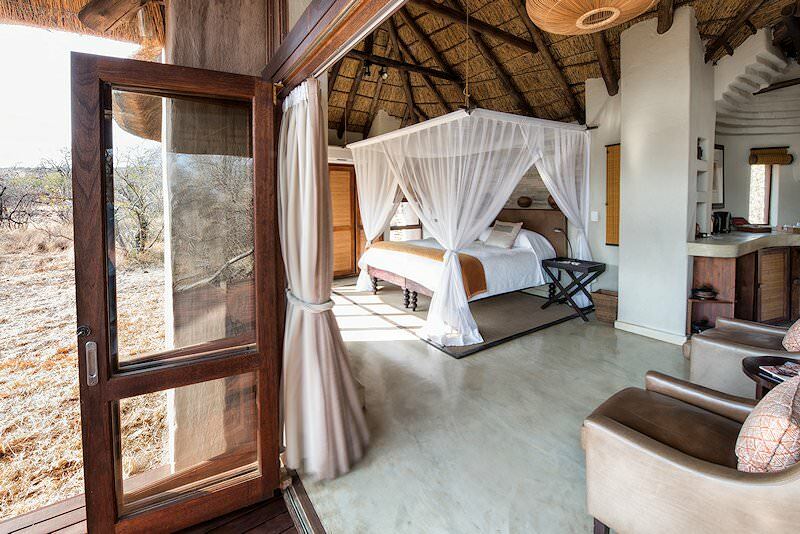 Impodimo Lodge is situated in the Big Five Madikwe Game Reserve in the North West province of South Africa. 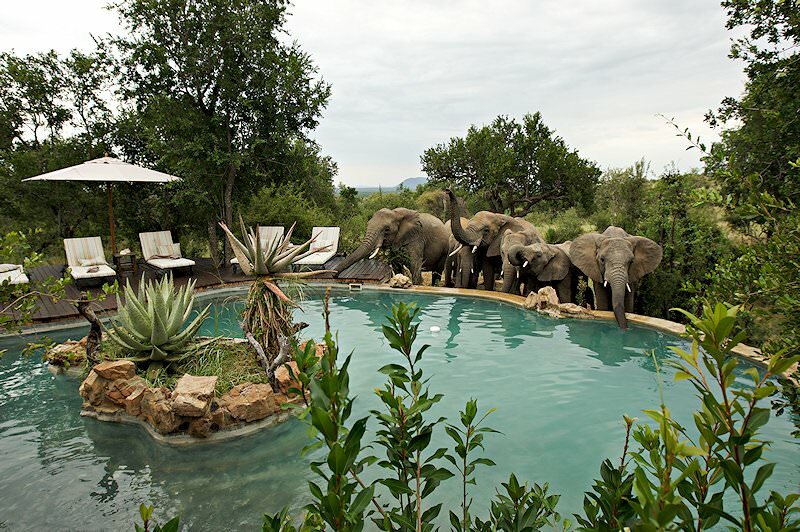 The location of the lodge in a malaria-free area makes it the perfect destination for a family safari in South Africa. Situated on the border of Botswana, Madikwe is a reserve with abundant wildlife, such as elephant, both black and white rhino, buffalo, lion, the ever-elusive cheetah and Africa's endangered wild dog. With more than 350 different bird species, it is a true natural paradise and excellent destination for a safari in South Africa. 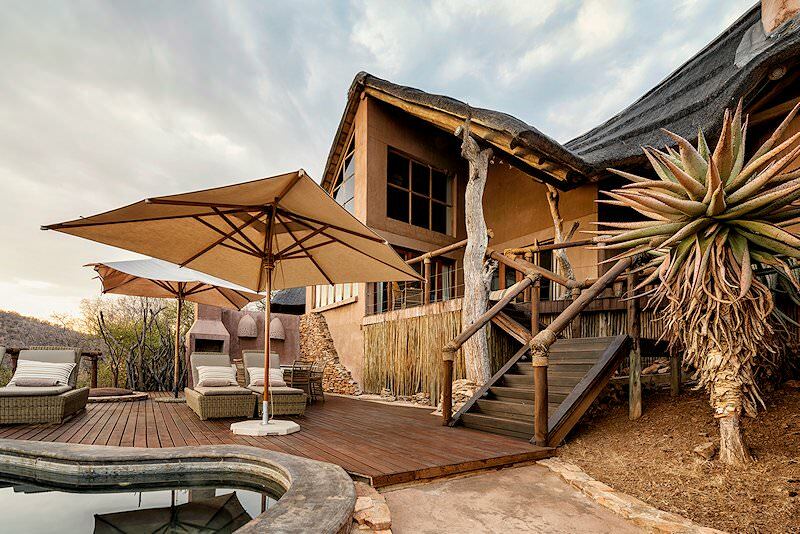 Impodimo Lodge offers limited accommodation in the form of 10 suites, with full en suite facilities and outdoor shower, fire place, covered patio and air-conditioning. 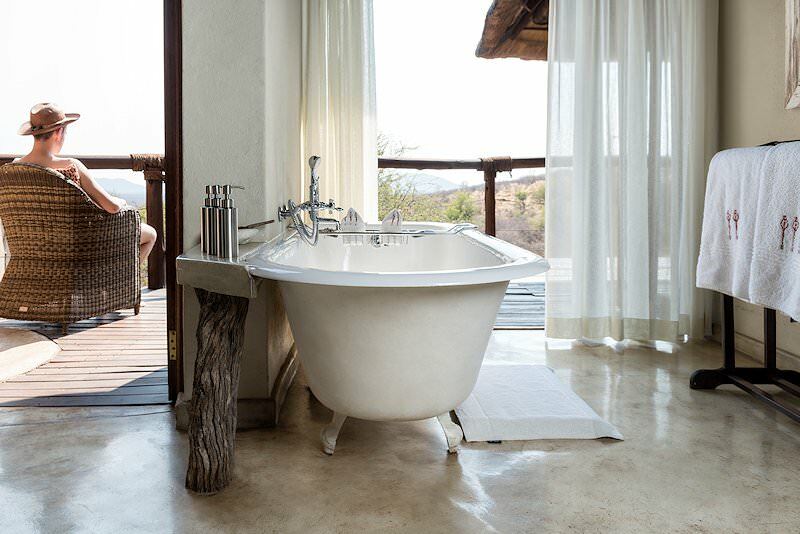 Two of the ten suites are deluxe, in the sense that these include a lounge and dining room, private boma deck and a private plunge pool. Impodimo Lodge welcomes children with special activities and babysitting services are available. 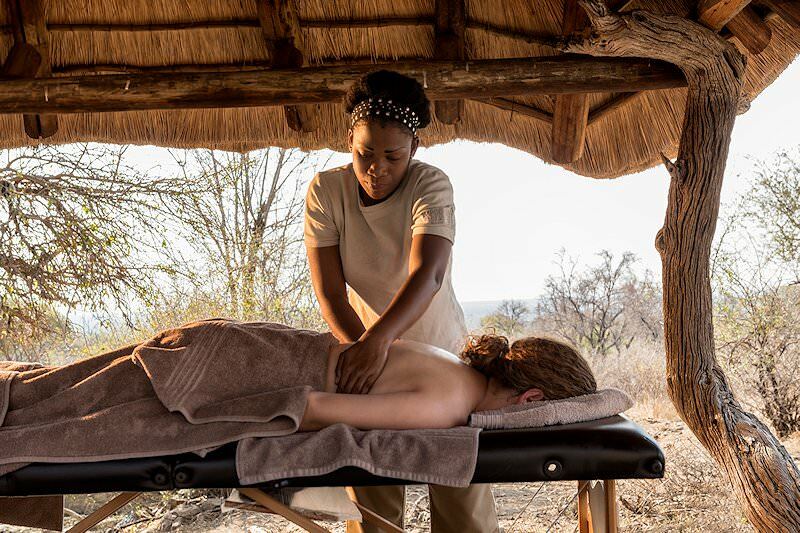 The lodge prides itself in the manner and high quality of safari experience that the visitor will have, with game drives in the company of professional guides being a definite highlight. The game drives are conducted early morning, late afternoon and at night to ensure optimal game viewing and photographic opportunities. In between the game viewing, enjoy fine pan-African cuisine or relax by the pool, ending the day sharing stories and enjoying a nightcap around the fire in the boma. 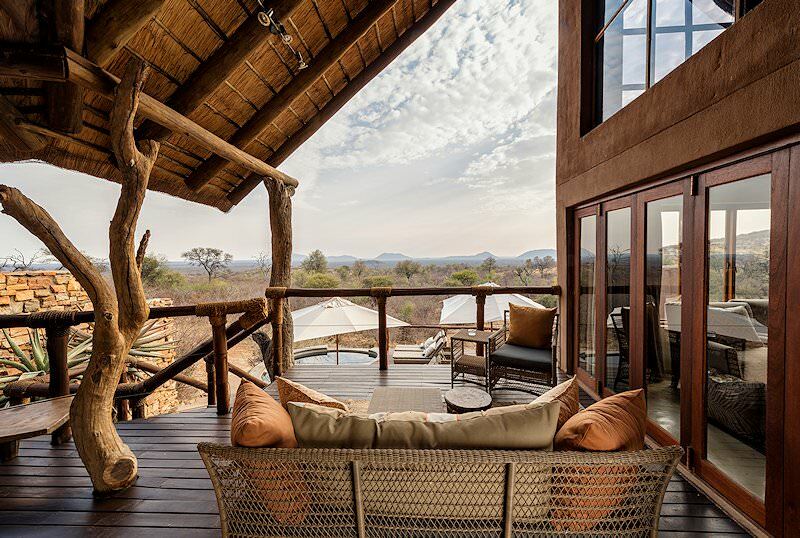 Impodimo Lodge is a perfect place to experience Africa's wilderness. Guests are transported to the airstrip at Madikwe Game Reserve from O R Tambo International Airport in Johannesburg. 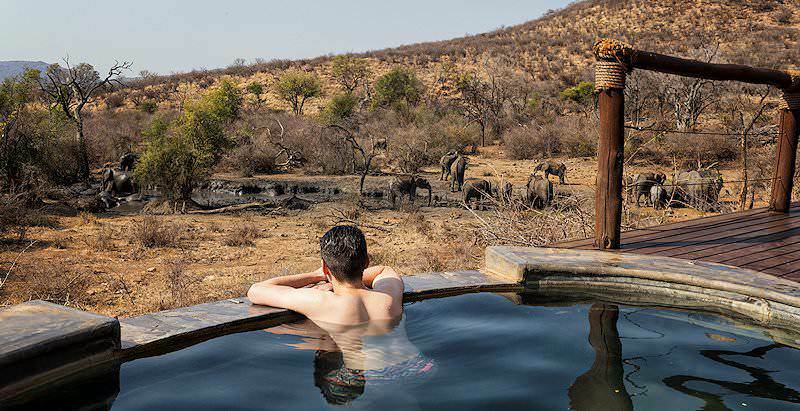 Lodge activities throughout this safari package include daily game drives in Impodimo's custom open-air Land Rovers and bush walks with insightful guides and trackers. 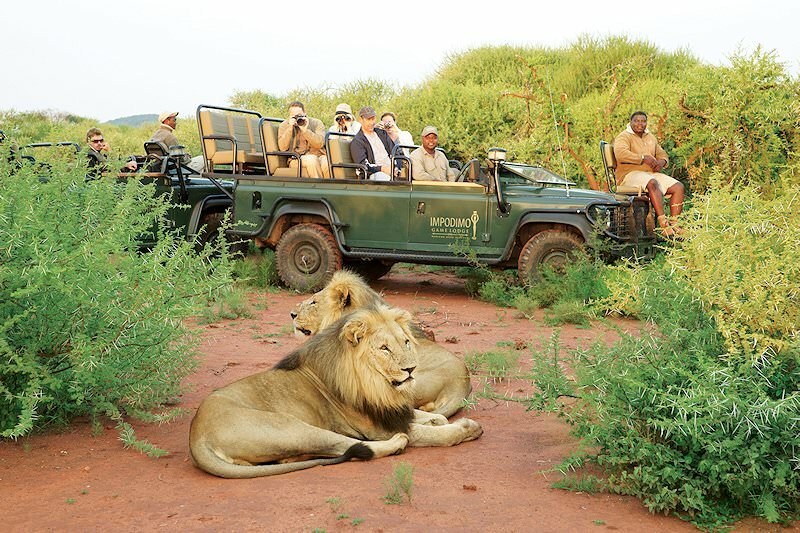 Madikwe is lion country, ensuring unforgettable close encounters with these striking big cats. 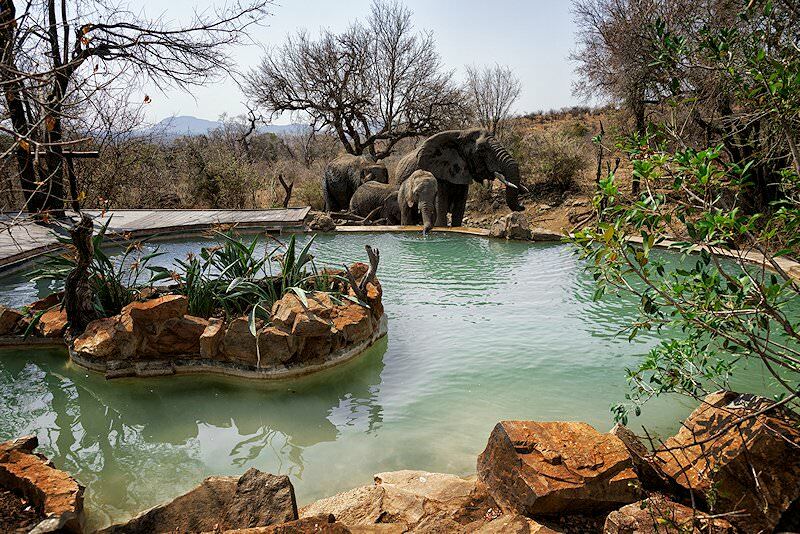 In between game viewing in the reserve, cool off in the feature pool or request a personal spa treatment in the privacy of your room. Alternate meals between the cozy warmth of the lapa and fireside pleasures of the boma. 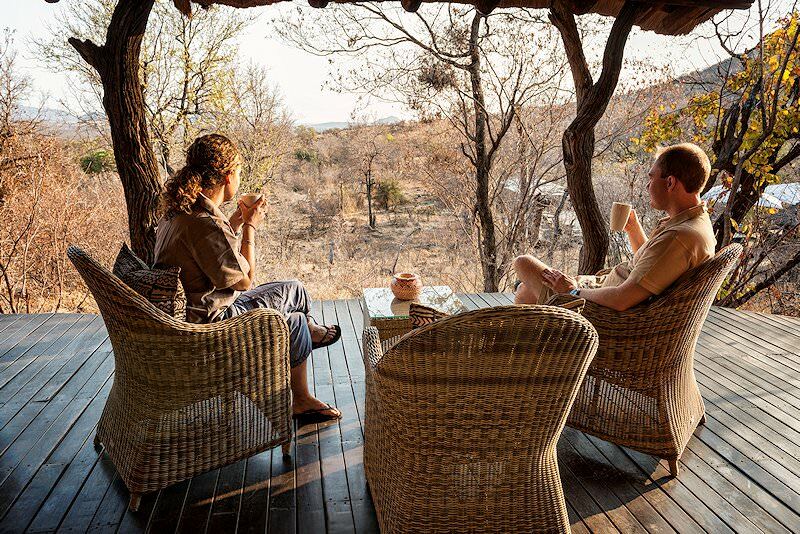 Tantalize your taste buds in the wine cellar, explore the shelves of the lodge's library or stock up on curios to share your South African safari experience with friends or family back home. Botswana's unique wilderness areas include the Okavango Delta, Chobe & Savute. Namibia's immense desert landscapes and night skies will take your breath away. A safari to Zambia will typically also include a visit to the Victoria Falls near Livingstone. Zimbabwe's safari areas, like Hwange and Mana Pools, are wonderfully low in traffic. Mozambique's 1000km of coastline hugs the temperate waters of the Indian Ocean. 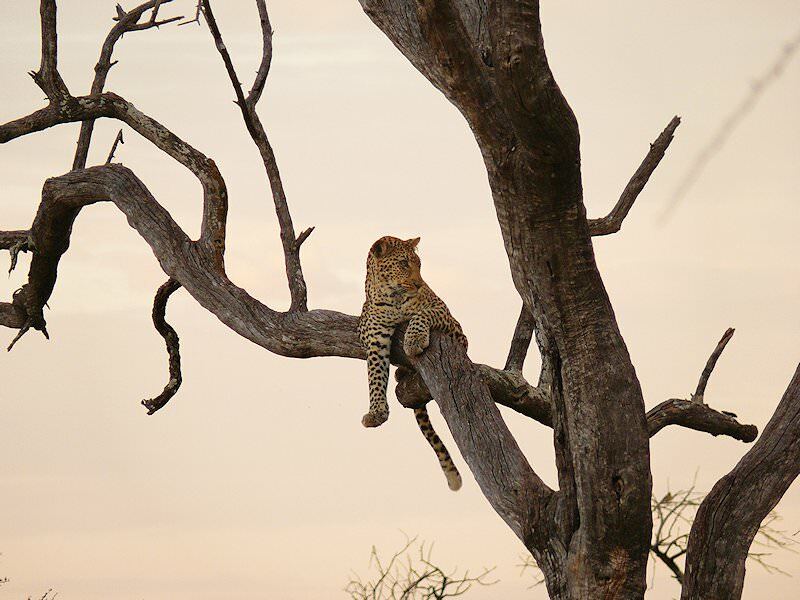 The Kruger National Park is South Africa's supreme safari destination, renowned for its remarkable diversity. The luxury safaris offered by African Sky are popular for their inclusive nature, from your flights and transfers to meals and activities. The Big Five offer some of the most rewarding sightings on safari, from a leopard dragging its kill up a tree to encountering the endangered rhino. 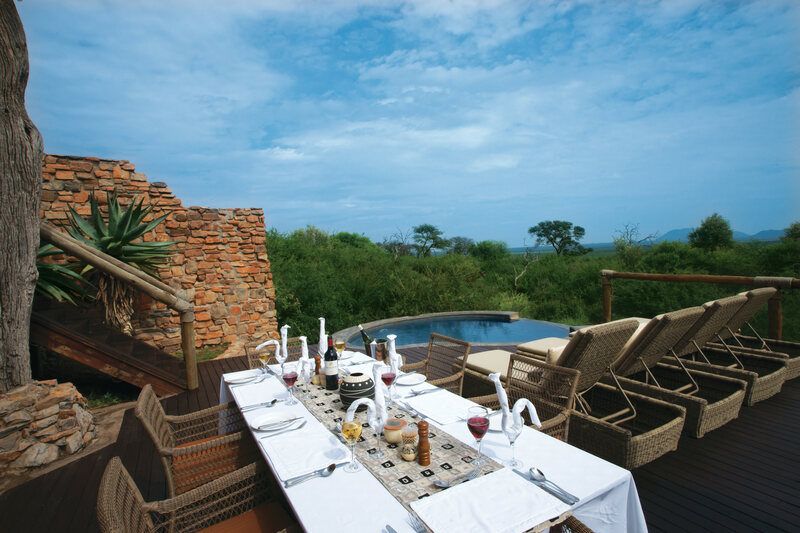 The African lodges in our packages have been carefully selected for their exceptional service and game viewing potential.